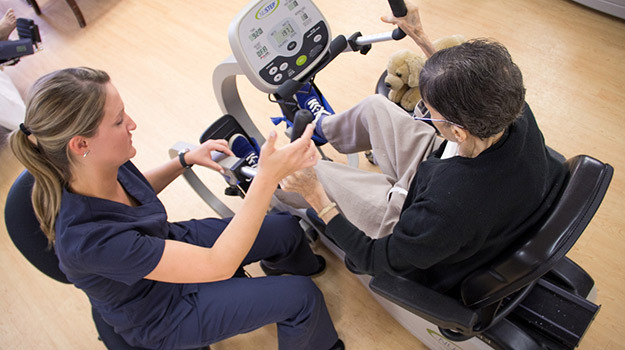 What is different about our Rehabilitation Program? Our dedicated in-house rehab team offers speech, occupational, and physical therapy services in both in-patient and out-patient settings. We strive to maintain the highest functional level by allowing the patient to choose the time for their therapy treatments. With the combined effort of our facility team, we have successfully returned over 60 percent of our rehab patients back to home.